You started your own online biz to stay home with your little ones, but sometimes it feels like you don’t really get to enjoy that time with them because you’re so busy, amiright? Well, guess what mama, life doesn’t have to be this way. The most important thing to take a look at first is your family boundaries. These are the boundaries you have between your work and your family life, and they are based on your family, and the needs of everyone in your family. Like if you need a date night once a week for you and your spouse to feel connected, or having set time with each of your little ones every day. They boundaries will tell you how much time you have left over to fit work into your day, once everyone’s needs can be met. Before you can crush your biz goals, you have to know what they are. Take time and map out where you want your biz to be in 5 years, 3 year, and 1 year. Figure out what you need to do today to get there. Once you know where your biz is headed, and you know what your goals are, narrow it down to just two daily goals. 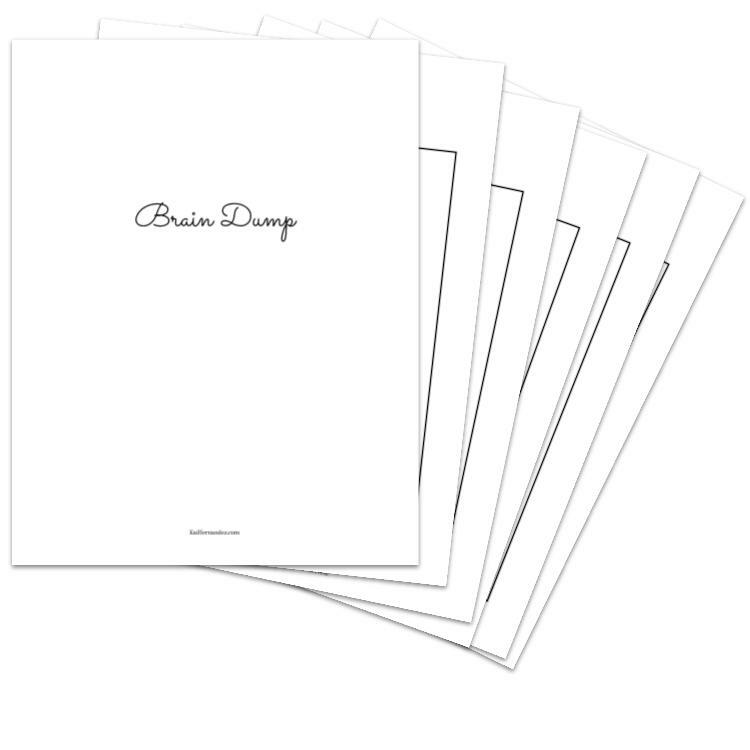 Make sure that these daily goals are high-value actions, and that everything else, all those nagging ideas in the back of your head, go into your Brain Dump instead of trying to multitask. Because let’s face it, when did you actually get anything done well while multitasking? Know that you have your boundaries set up, and you know what your goals look like, it’s time to figure out when the heck you’re gonna work without being interrupted 20 million times. What I like about working from home with my daughter, is that there are natural time blocks, like when she is napping, and after she goes to sleep, where the house is quiet, there is a natural end time, & the blocks aren’t so long that it’s hard to work the entire time. I would say to max out your time block around 90 minutes. For these time blocks, you wanna focus all your attention into knocking just one of those daily goals out. Don’t let little things, like pesky notifications, or your instagram feed, distract you. When your time blocks start, just get straight to work. If you find that hard, because come on, it’s the first time you have had a moment alone all day, try using this hack that will make you instantly more productive. 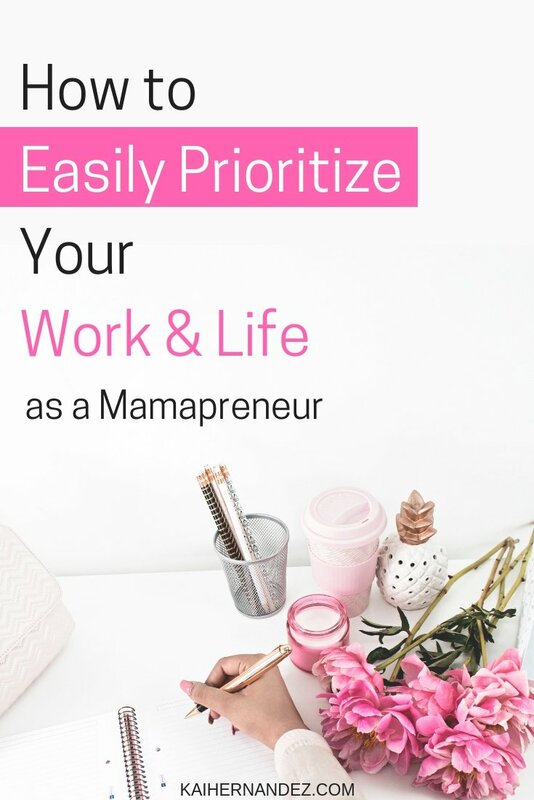 How do you prioritize your life as a mamapreneur? Let me know in the comments. Let me know if you have any questions about prioritizing your life, or anything else in this post.